How do videos, movies and documentaries dedicated to indigenous communities transform the　media landscape of South Asia? Based on extensive original research, this book examines how in South Asia popular music videos, activist political clips, movies and documentaries about, by and for indigenous communities take on radically new　significances. 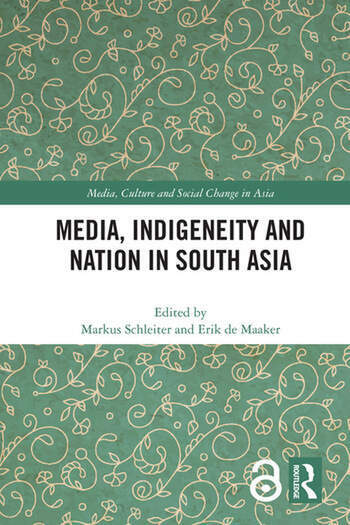 ‘Media, Indigeneity and Nation in South Asia’ shows how in the portrayal of indigenous groups by　both ‘insiders’ and ‘outsiders’ imaginations of indigeneity and nation become increasingly interlinked. Indigenous groups, typically marginal to the nation, are at the same time part of mainstream polities and cultures. Drawing on perspectives　from media studies and visual anthropology, this book compares and contrasts the situation in South Asia with indigeneity globally.